Dr. Bonneval is a native of Port Sulphur, Louisiana. Dr. Bonneval received a Bachelor of Science degree from LSU, Baton Rouge, and graduated in the top 10 percent of his class from LSU School of Medicine in New Orleans. He did his general surgery training with LSU in New Orleans and was the "Outstanding Surgery Resident" three out of the four years. He was also the Chief Resident for his senior year. Dr. Bonneval spent an extra year training at the Lahey Clinic in Boston, Massachusetts, with six months of training in billiary and pancreatic surgery, three months colorectal surgery, and three months of cancer surgery with emphasis on breast cancer. 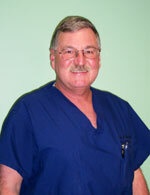 He has been board certified since 1980 and is a Fellow of the American College of Surgeons(FACS). Dr. Bonneval has 30 years of experience.